If I have been a quiet on the blog lately, it is because I’m focusing heart and soul on my next novel, Darksight. 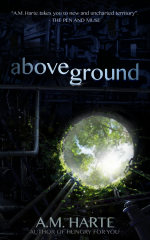 The writing process for this project has been very different from my first novel, Above Ground, which ran as an online serial. I don’t have a weekly posting schedule to stick to. I don’t have readers debating the story’s progression. It’s just me… and my new-found best friend: my notebook. This is the first time I’ve kept a project-specific notebook, and I’ve come to realise that the physical process of writing is crucial to the development of a story. I used to think that those who carried around fancy *coughmoleskincough* notebooks were pretentious. A part of me still does: I’m using a bog standard spiral-bound affair. But my new companion has taught me that what exists in our minds is formless, mutable. Only when it has a physical permanence can we build upon it to take the story further. Memory aid: Have you ever thought of something great, told yourself you’d write it later, only to find it has slipped away like a dream? Keep your notebook close and it’ll never happen again. Stimulate thought: Do policemen walk around without their uniforms? No! Well, you’re an author. Carrying a notebook means that a part of your mind is always subconsciously in writing mode, seeking new ideas. Evaluate progress: You can track your ideas as they develop over time, and remember how you ended up where you are now. 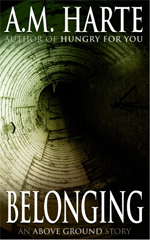 Particularly useful for character development and back stories. Ask questions: Why does your protagonist hate chocolate? How did the submarine end up in the zoo? A notebook allows you to jot down questions – even if you don’t have the answer. Focus: Your mind can only handle so much at any one time. Dump all of your thoughts into your notebook, so you can pick and choose what to work on. Gain perspective: Having a notebook puts your ideas outside of your head. The separation will allow you to look at your thoughts from a different perspective, helping you spot flaws or plot holes. Solve problems: Sometimes your story isn’t quite working, and you can’t figure out why. Instead of moaning about it in your head, moan about it on PAPER! It’s therapeutic, and you may find the answer somewhere amidst the scribbles. Do you keep a writing notebook? Why or why not?